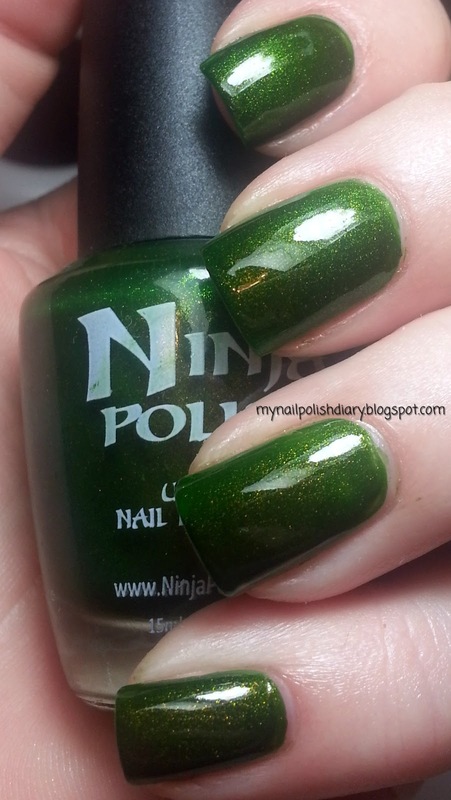 Ninja Polish Shillelagh was just released in their Enigma Collection. 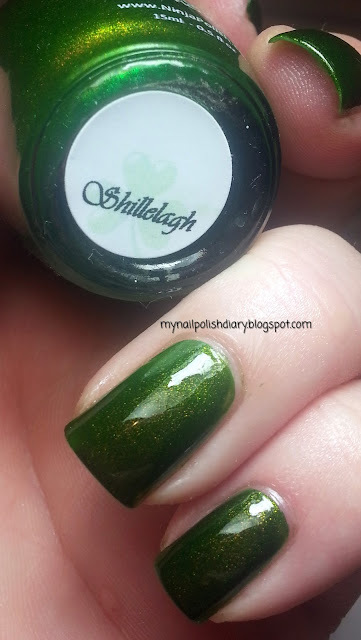 This is how I wore it for St. Patrick's Day. 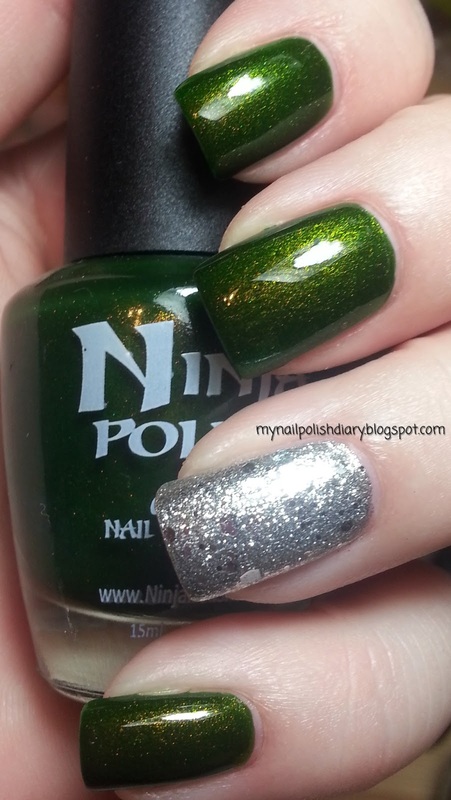 It's very green with gorgeous golden shimmer. Simply stunning. Application was smooth as silk and wear time is just great.